A bride phoned me last week and asked a really funny and interesting question... She said that she have only R15 000 for her wedding photography. 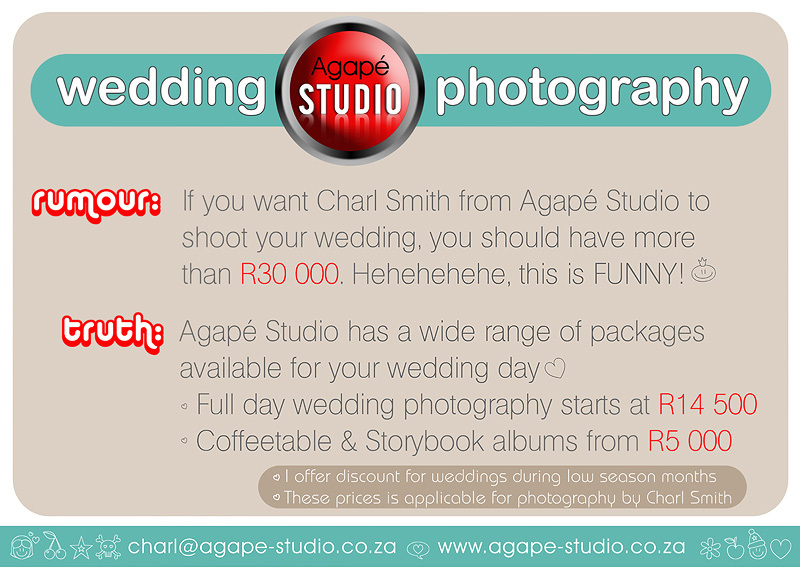 She would like to know if I can help her in any way because she heard that my wedding photography is more than R30 000. Hehehehehe, that was really funny and interesting. This is why I decided to make a short post just to tell everyone out there that - I know that my photography packages is not cheap, BUT, it is definitely not as outrageous as some might think. Please contact me to receive my full packages for your wedding.